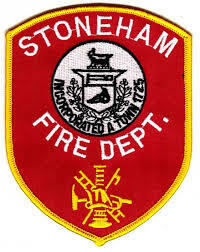 STONEHAM — Chief Matthew Grafton reports that the Stoneham Fire Department extinguished a residential house fire late last night. On Wednesday, March 27, just before 11 p.m., the Stoneham Fire Department received several 911 calls reporting a house fire at 9 Oak St. Upon arrival, Engine 2 and 3 and Ladder 1 found heavy fire showing on the front porch of the two-story wood frame house. The Winchester Fire Department also responded to the scene to assist, while the Reading and Wakefield Fire Departments provided station coverage. The homeowners, who were awake at the time the fire started, evacuated prior to firefighters’ arrival. No injuries were reported. The fire, which originated in the vicinity of the porch, extended to the first floor and into the walls leading up to the second floor. Crews made an aggressive attack, first extinguishing the bulk of the fire from the outside. Firefighters then extended a line inside the house to contain the fire from extending further while simultaneously doing a search of the house to ensure everyone had evacuated. The house sustained heavy fire, heat, smoke and water damage, and was deemed uninhabitable. Crews cleared the scene at 1:50 a.m. Chief Grafton would like to thank Stoneham Police, DPW, Action Ambulance and Stoneham Fire Auxiliary, which were also on scene to assist. The cause of the fire remains under investigation by the Stoneham Fire Department. Additional pictures of the fire can be found here. ATTLEBORO — Chief Scott T. Lachance is pleased to announce that two Attleboro firefighters, who delivered a baby girl in the back of an ambulance last week, will be meeting the newborn and her parents for the first time since her birth on Thursday. The firefighters will be presented with certificates to recognize them for their efforts. On Thursday, Attleboro firefighters Ryan Bielawa and Cameron Eames will meet the baby girl they delivered in the back of an ambulance on the way to the hospital last week. Parents Korissa Burch and Jesse Hester will bring their newborn daughter Addilynn Hester to the fire station to meet with the firefighters for the first time since the baby was born. 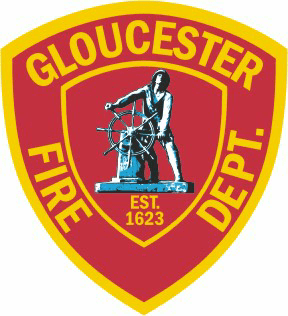 At approximately 3:45 a.m. on Wednesday, March 21, the Attleboro Fire Department responded to a home on Peck Street, where Burch was in labor. Burch was placed into an ambulance with the help of the firefighters. While on the way to the hospital, Bielawa delivered the baby while Eames drove the ambulance. They were taken to Sturdy Memorial Hospital and were cared for until their release on Saturday. Both are doing well and are healthy. Addilynn Raye Hester was born weighing 7 pounds, 9 ounces and was 20 1/2 inches long. She is Burch’s fourth child. For both Bielawa and Eames, this was their first time delivering a baby. Chief Mark Klose leads a tour of the apparatus bay at station one. ROCHESTER — It was 11 a.m. on a Monday, but the men on the Rochester Fire Department’s D Shift haven’t gotten around to eating breakfast yet. They had been dispatched almost constantly since early that morning, responding to the types of medical calls that have been a major factor in the dramatic increase in call volume firefighters have had to handle in the years since many of the shift’s veterans first joined the department. As of noon on Dec. 18, Rochester Firefighters had answered 2,776 calls for the year, putting them just four calls shy of last year’s total and over 2,000 more than the department answered in 1997. So far that morning they responded to calls at 7:55, 8:57, 9:19, 9:55 and 10:40. By the late afternoon, they’d responded to two more calls for help. Mondays mean that Engine 5 is due for a top to bottom maintenance check, which Firefighter Jerry McKay — working overtime to cover a short-staffed shift — is leading just outside Capt. Burns’ door. He starts by washing the apparatus, which has just returned from its fifth medical call on a snowy morning, before checking its interior and lifting the cabin to do a complete check of the parts that make it run. Those checks will be repeated for every other front-line apparatus on a daily rotation, since the department can’t afford surprises when emergencies arise. Fire Chief Mark Klose and his staff are hoping that the city’s elected officials will capitalize on an invitation to join the department for a ride-along, which will give them an in-depth and hands-on understanding of the work Rochester’s firefighters do every day. Though the job has changed dramatically, with calls for medical assistance and general aid now far outpacing the number of fires they’re summoned to extinguish, Rochester’s firefighters still say they’re working their dream job. “Someone’s bad day is our good day because when there’s nobody else to call, they call us,” said Firefighter Pat Couch, the shift’s most senior firefighter. Within minutes, the department’s second-floor training room and the entire shift had moved into two engines and a ladder truck, which rolled to a stop in front of the scene of the call a short distance from station one. The crew was on scene for approximately an hour, working to determine the source of the odor while navigating narrow hallways blocked by mattresses and other obstructions. Firefighters narrowed the source of the odor to a furnace in a rear portion of the former barbershop and shut it off. As they worked around the building, Chief Klose pointed out the variety of responsibilities firefighters have as they arrive at a scene, including determining whether there is an active fire and — if there is — what neighboring buildings are at risk and what needs to be done to keep fire from spreading. Once that work was done, Fire Marshal and Deputy Chief Tim Wilder walked through the building with Jim Grant, Rochester’s director of building, zoning and licensing services, to determine what code enforcement issues exist within the building and begin working with the owner to correct them. After clearing the scene, the shift members returned to the station and to their scheduled training session. Deputy Chief Dube, whose office floor is full of training-related materials, finished his walkthrough of the techniques they’d need for the exercise they’d be completing later in the week. Then, the group moved to the apparatus bay to begin practicing with the equipment they’d need for an ice rescue. Firefighter Duane Marsh, working only his third shift since joining the department, got the ice rescue suit on just in time to hurriedly remove it and head for Engine 5 to respond to another call — a medical emergency at a home they’d been dispatched to earlier that morning. Though no two days are identical for Rochester’s firefighters, Monday, Dec. 18 was fairly typical for the department, and they hope that city leaders will set aside time to experience a day in their lives to more fully grasp the challenges and responsibilities. The responsibilities, the unexpected calls, their camaraderie and their shared impact on the community are ultimately part of what keeps Rochester firefighters coming back for more, even after harder days.